I bought a bunch of Gooseberry plants maybe three weeks ago. They're planted in the ground and shockingly enough flowering plentifully. 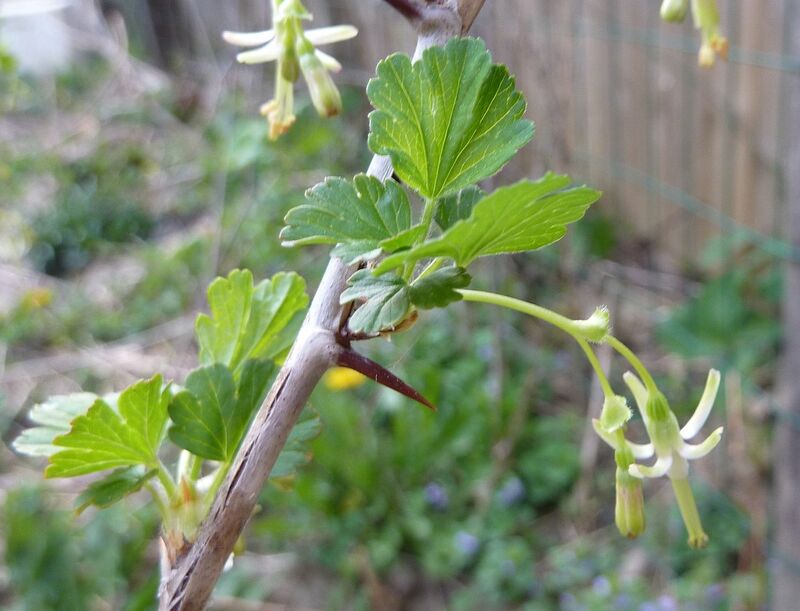 Pictured above is a Red Gooseberry plant, Ribes species. It's not like me to buy something I don't know the species of but my understanding is Gooseberries are native to both North America, and Europe and species have been mixed and matched and hybridized for several hundred years now. At one point there were over 50 varieties of this fruit growing in the US the progeny of which came from only a dozen or so species. This is a food crop, which implies the person who planted it will keep it under control, so native or not isn't as big an issue. Because of a disease that uses this plant, and later white pines, often resulting in killing the tree, the timber industry helped pass legislation to have gooseberry irradiated. Modern cultivars have been found to not spread the disease so they're fine to plant, but some states still have it banned from planting. Considering this native food source was almost irradiated it's a wonder how anyone can tell what cultivar is what now. This is another type of Gooseberry. The fruit will be green and turn slightly pink when ripe. I'll try and find the tag it came with later on. I would like to point out, I just planted these, this one is 4 inches tall, and it's flowering... Assuming I get a harvest from these plants without a hitch, and the fruit tastes good, I will be requesting every garden hit themselves up side the head for having over looked such an easy to grow beneficial food crop. We're not there just yet but keep your hands ready all the same. 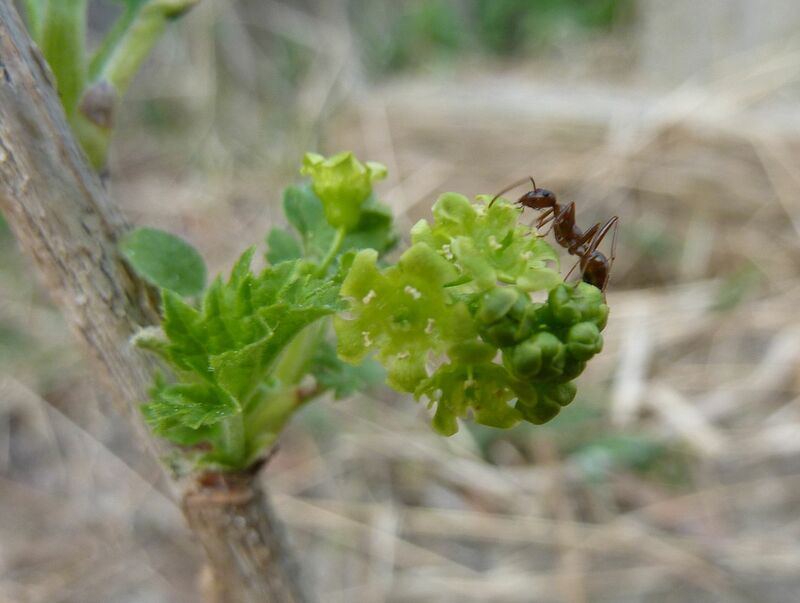 The ant on the flower is a Formica species in case you were wondering. Very common across the US and reasonably hard to ID.